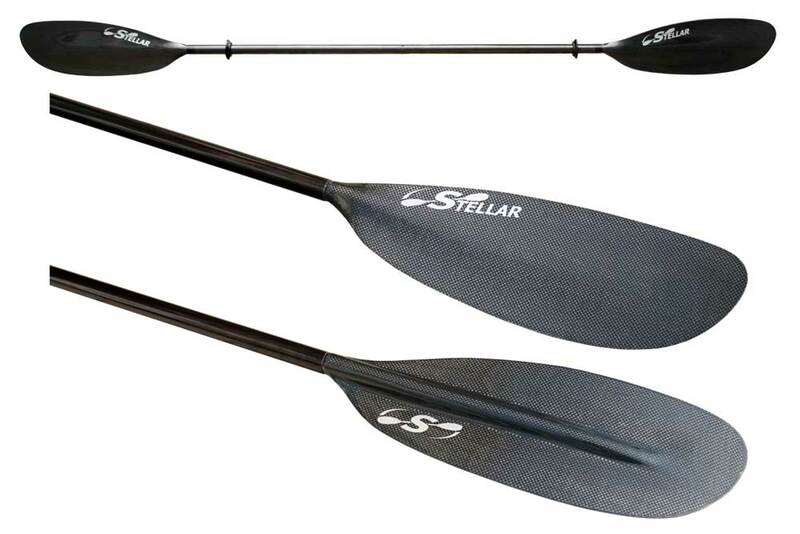 Low Angle Touring Paddle - Stellar Kayaks offers kayaks, surf skis, paddles and accessories. 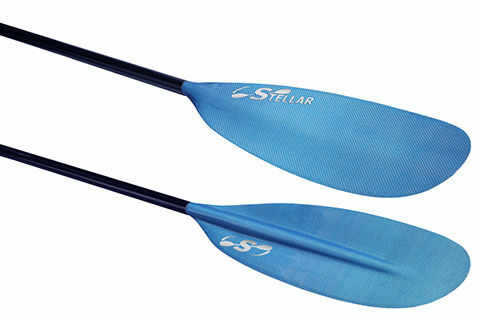 Our Low Angle Touring Paddle is designed to give you a comfortable, light and quiet paddle. 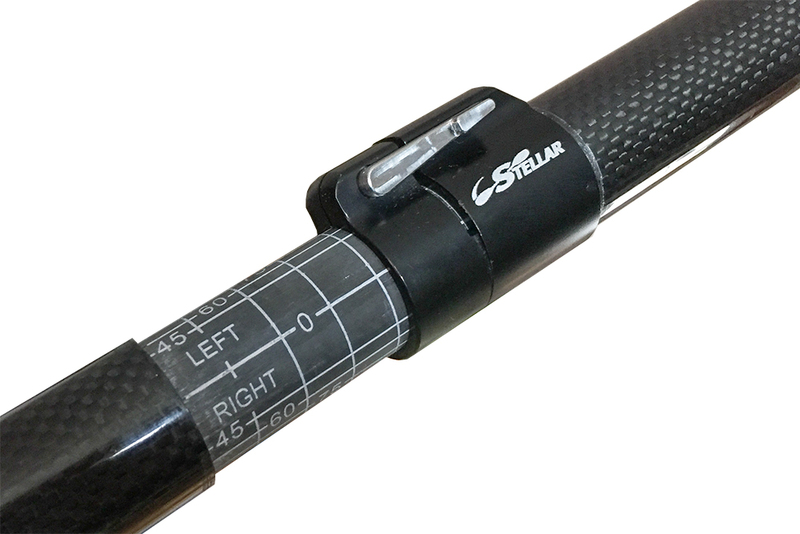 The Comfortable Oval Shaft reduces stress on your fingers as it contours to the shape of your hand better than a round shaft. Description:Utlra stiff cored Carbon blade and smooth finished oval woven carbon shaft. Epoxy construction in heated press molds creates a durable finished on the blade. 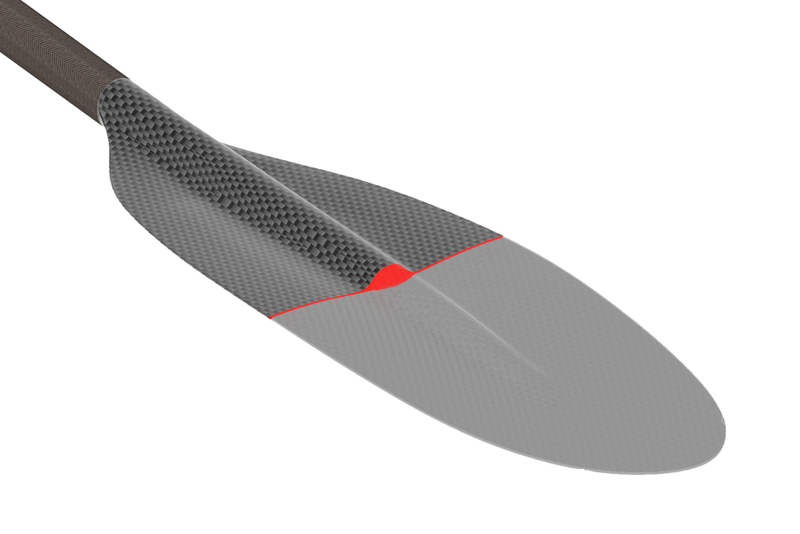 Description: Stiff cored colored fiberglass blade available in Blue or Red and smooth finished oval carbon shaft. Epoxy construction in heated press molds creates a durable finished on the blade.